Kapil Surlaker leads the Data Analytics Infrastructure team at LinkedIn, where he’s responsible for core analytics infrastructure platforms including Hadoop, Spark, other computation frameworks such as Cubert and Pinot, an OLAP serving store. 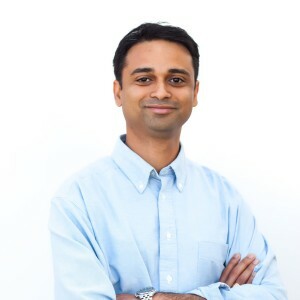 Previously, Kapil led the development of Databus – a database change capture platform that forms the backbone of LinkedIn’s online data ecosystem, Espresso – a distributed document store that powers many applications on the site and Helix – a generic cluster management framework that manages multiple infrastructure deployments at LinkedIn. Prior to LinkedIn, Kapil held senior technical leadership positions in Kickfire (acquired by Teradata) and Oracle. Kapil holds a B.Tech. (CS) from IIT, Bombay and M.S. from Univ of Minnesota. Previous story The Biggest Opportunity is the Network Of Things.